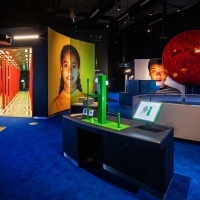 Design studio LucienneRoberts+ has created some lovely graphics for the new Wonderlab Gallery at The National Science and Media Museum in Bradford. 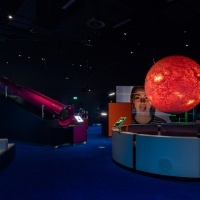 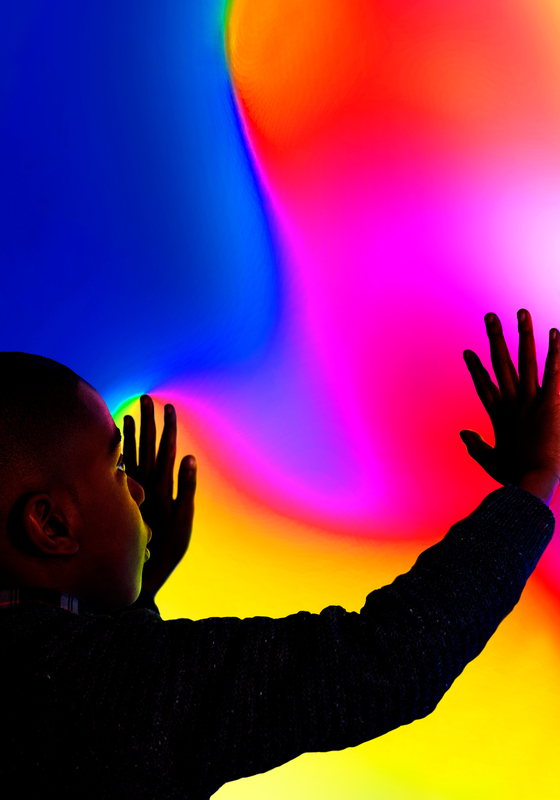 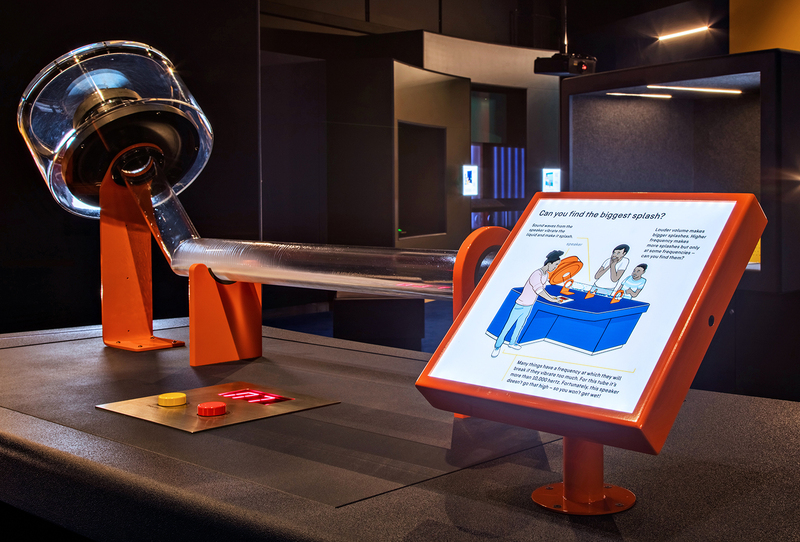 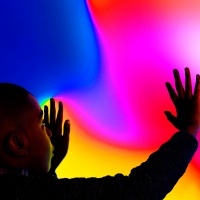 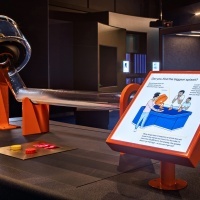 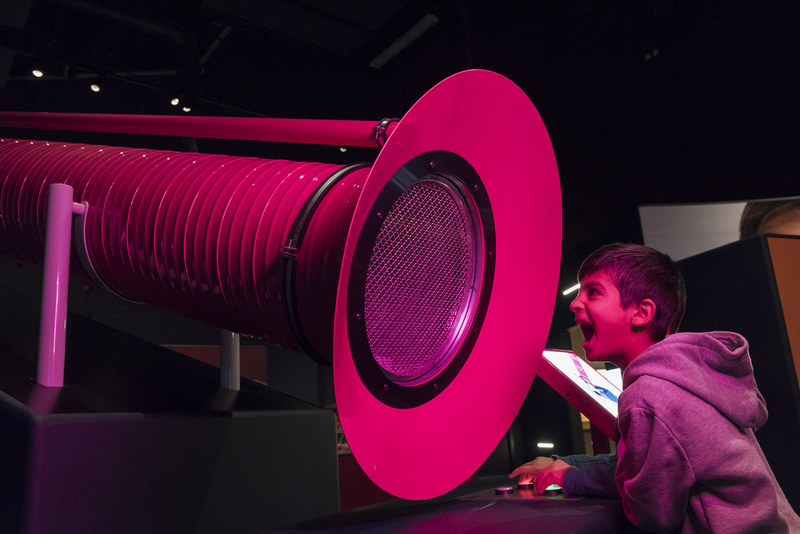 The gallery explores the science behind light and sound with 22 hands-on exhibits. 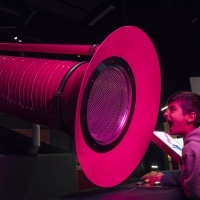 Visitors can walk around a musical laser tunnel, see a 3D printed zoetrope and hear their voice echo through a 15-metre long tube. 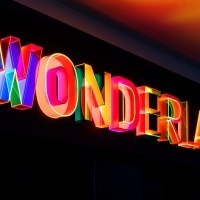 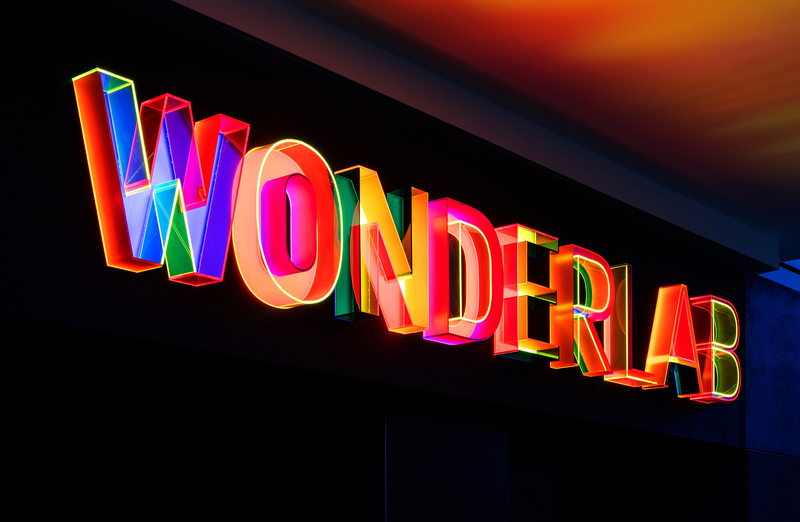 LucienneRoberts+ was responsible for Wonderlab’s identity and 2D design and has created large-scale wall displays and illuminated 3D lettering for the space. 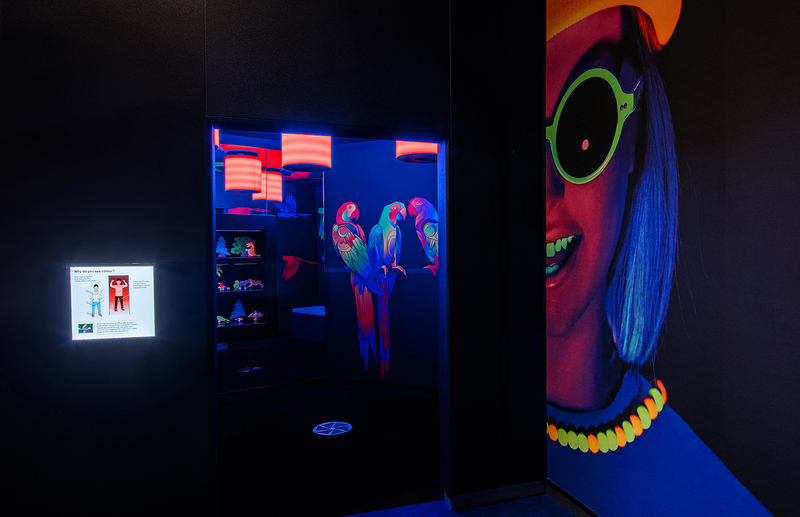 LR+’s David Shaw worked with illustrator Saroj Patel to create a display that comes to life under RGB light (parrots printed on to a wall appear to fly when lights change from red to green to blue). 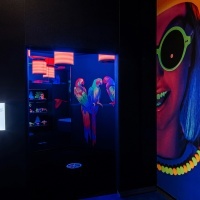 Another display created for a section on UV light allows visitors to mix and match fluorescent faces. 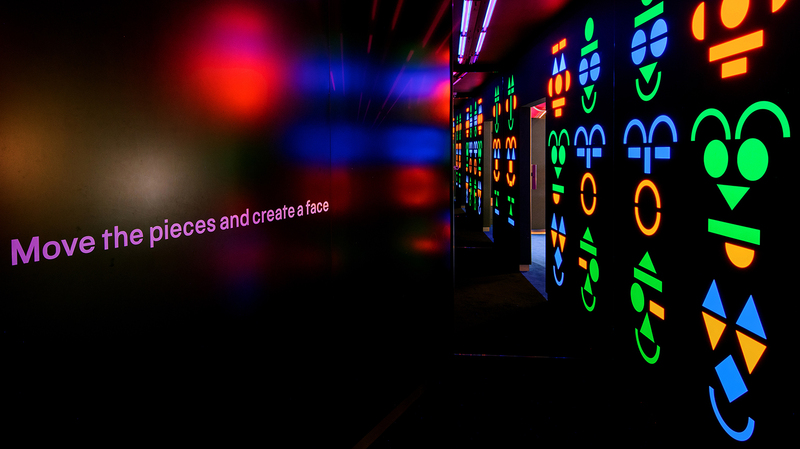 The title of the gallery appears in brightly coloured letters above the entrance and backlit ‘interpretation units’ explain how each exhibit works. 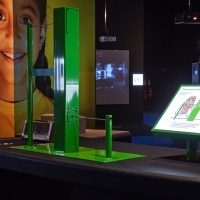 Units are colour-coded to match exhibits and feature illustrations by Adam Boardman. 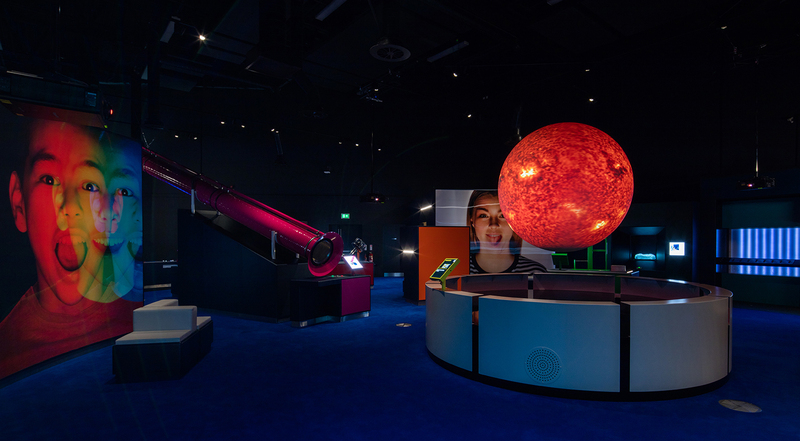 The space also features large-scale images of local children – photographs were taken by Alex Grace with art direction from Shaw and measure almost four metres high. 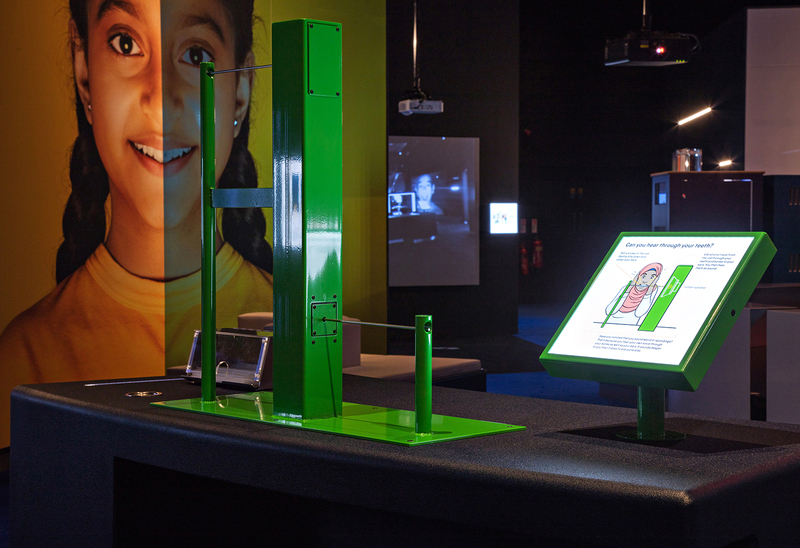 Two are lenticulars: one shows a boy blinking in astonishment and another shows a girl gasping. 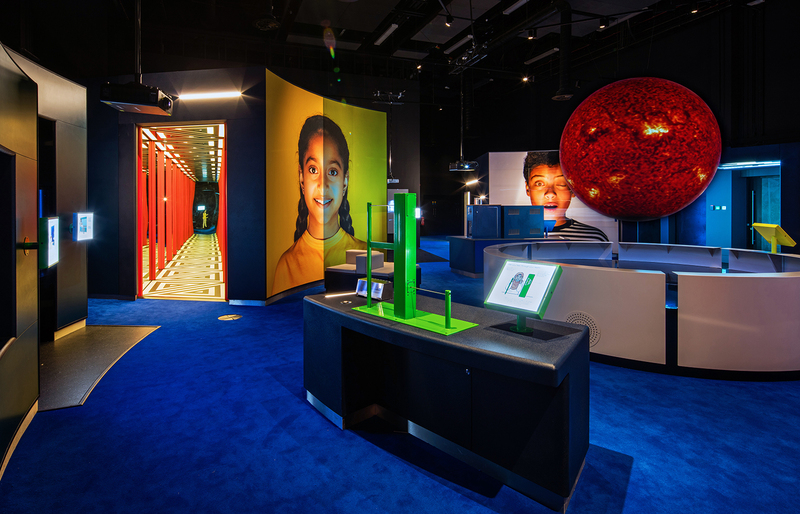 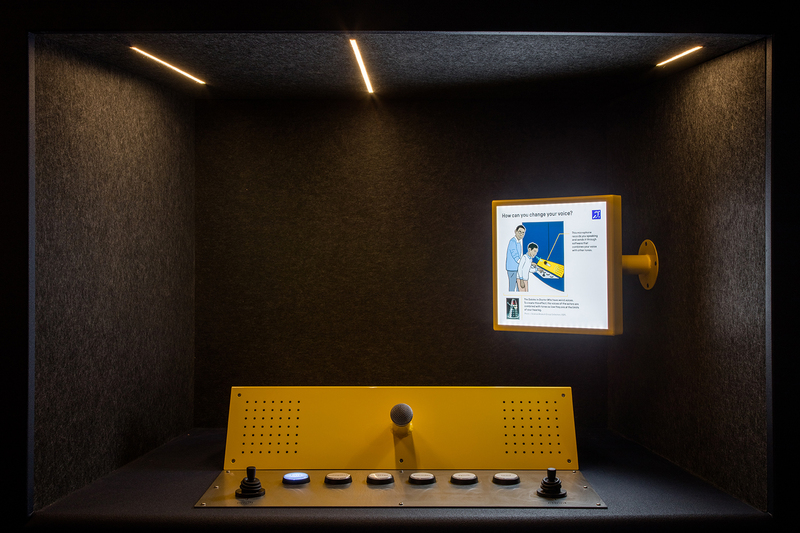 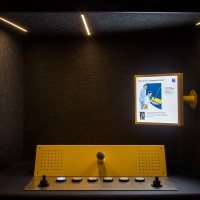 With a clever use of lighting and some eye-popping colours, the graphics are bound to delight – LucienneRoberts+ says the space is designed to appeal to both adults and children and be as “visually enticing” as it is informative. 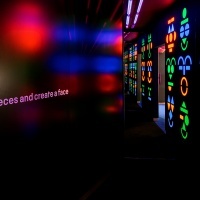 Ab Rogers Design worked on the gallery’s 3D design and lighting was designed by Michael Grubb Studio.